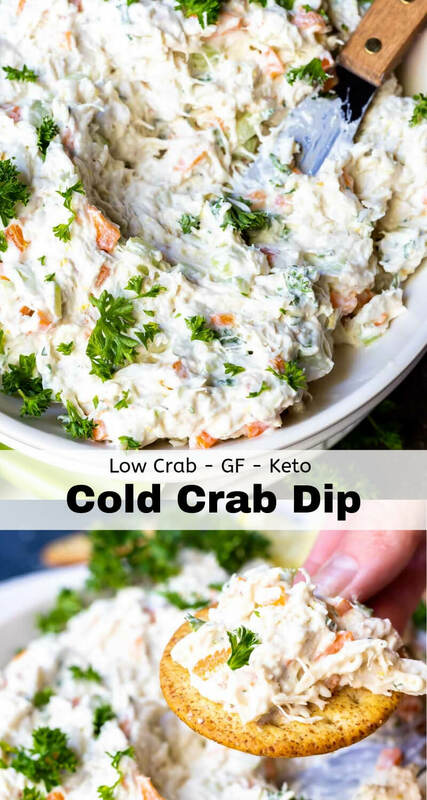 This Cold Crab Dip Recipe is great for a game day appetizer, holiday feasts or any type of party. 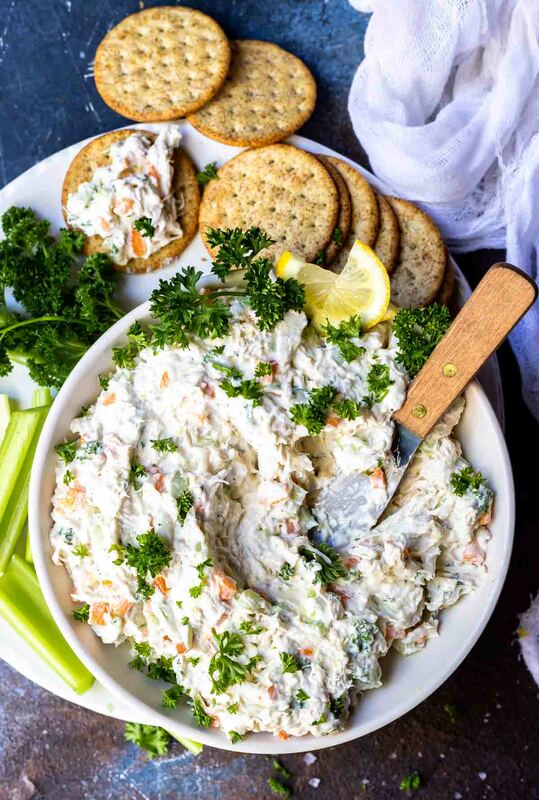 Made with simple real food ingredients, this dip is good served with bread, crackers, celery or bell peppers. 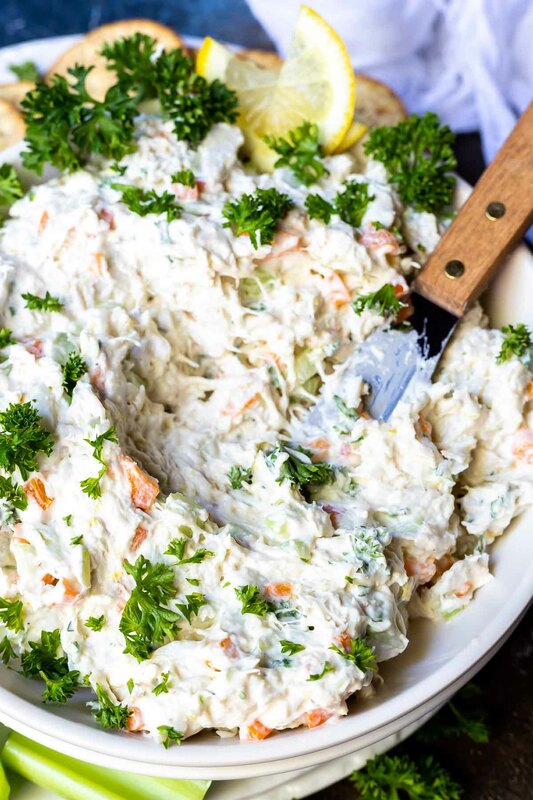 This dip is also gluten free, low carb and Keto friendly. Step 1: Prepare and chop all ingredients. Step 2: Mix together cream cheese, sour cream, lemon juice, lemon zest, horseradish, garlic, salt and pepper with hand mixer. Step 3: Stir in celery, bell pepper and parsley. 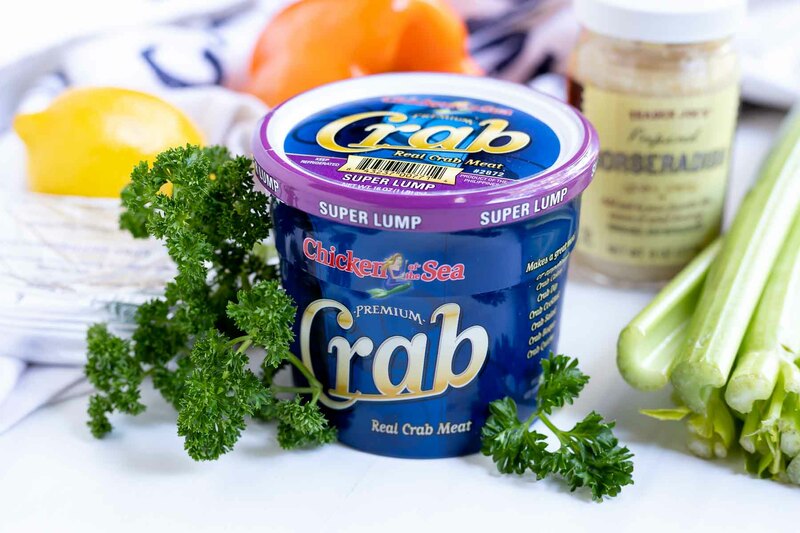 Gently fold in crab meat. 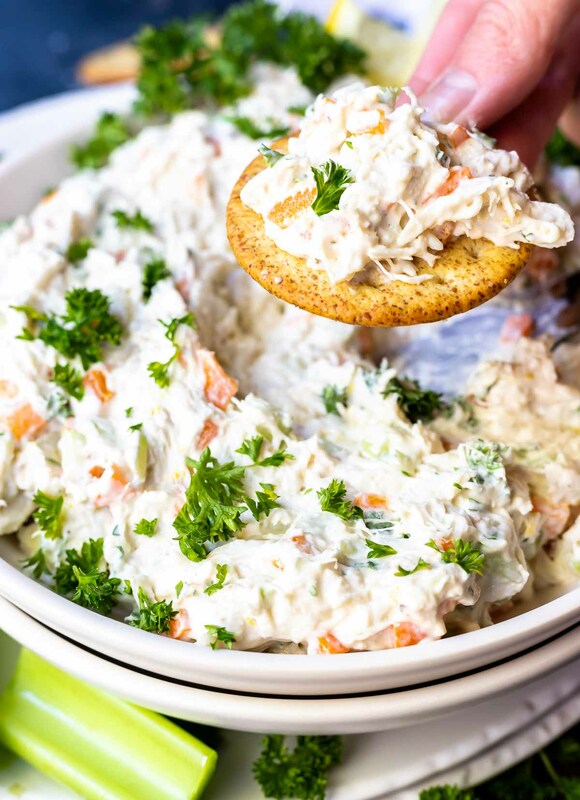 Serve this dip with bread, crackers, chips, celery, sliced peppers and other veggies. 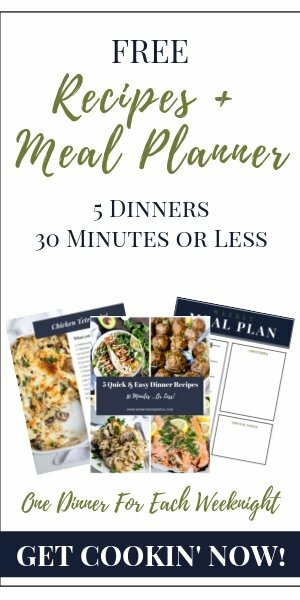 Eat this within 3 days. Keep it refrigerated and in an airtight container. 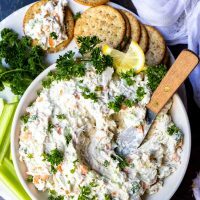 Using hand mixer, mix together cream cheese, sour cream, lemon juice, lemon zest, horseradish, garlic, salt and pepper until creamy and free of lumps. Stir in celery, bell pepper and parsley. Gently fold in crab meat.